I'm having some trouble extracting the archives from the game Spacelords (previously known as Raiders of the Broken Planet). 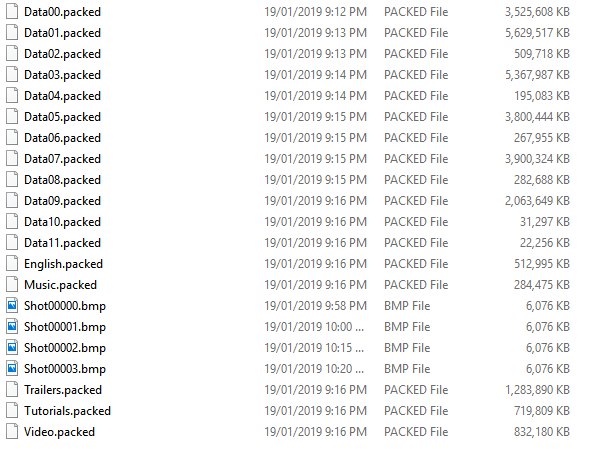 Here are the files I'm trying to extract. Here's a link to the extraction script I used. And here's a link to one of the data chunks I can't extract. I've tried using the 4GB version of Quick BMS as well as the original one for most of the data files with no success. If this is a common error then please forgive me. I've attempted to research the issue myself but I'm afraid I'm out of my depth when it comes to troubleshooting these kind of errors. I saw that someone managed to extract some files from the data chunks but I didn't see any mention this particular error. Please provide a sample archive. Thanks for the fast fix! Seems to be working just fine now.